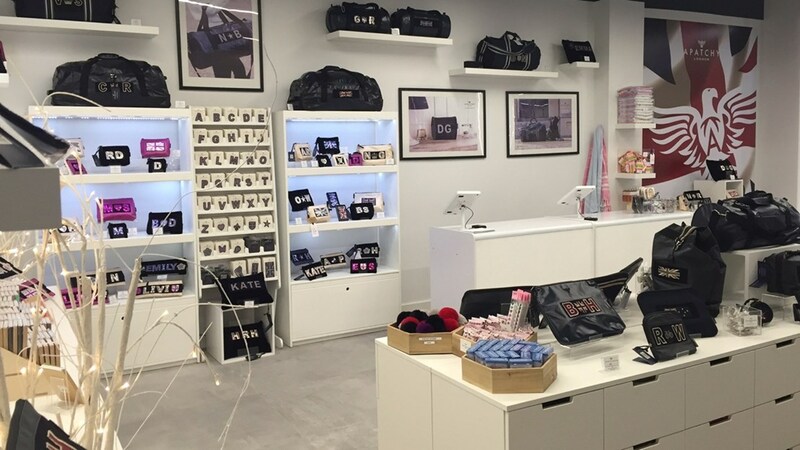  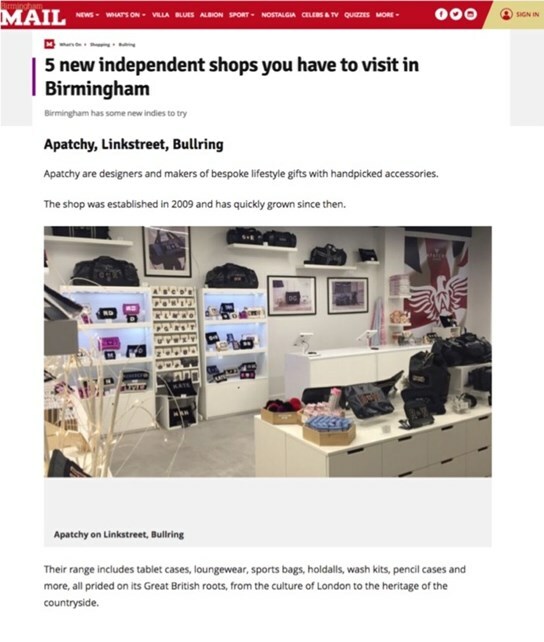 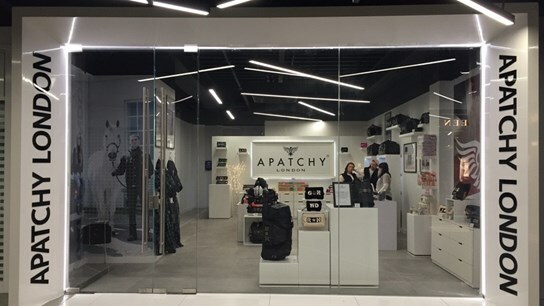 Despite being predominantly an e-commerce business, Apatchy have experienced a number of successful pop-up shops in different areas around the UK. Starting off with a large pop up in the middle of Cambridge, Apatchy's success with the tourists and vast student population secured an invitation to the up and coming 'Link Street' at the Bullring in Birmingham. 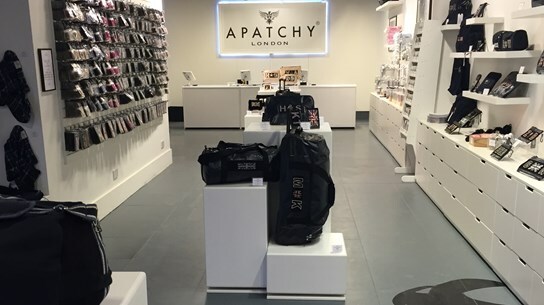 Featured among brands such as Liam Gallagher's Pretty Green, London's Cereal Killer Cafe, Barber Barber and more, the six-month pop-up in the fast paced and energetic city was a great success. 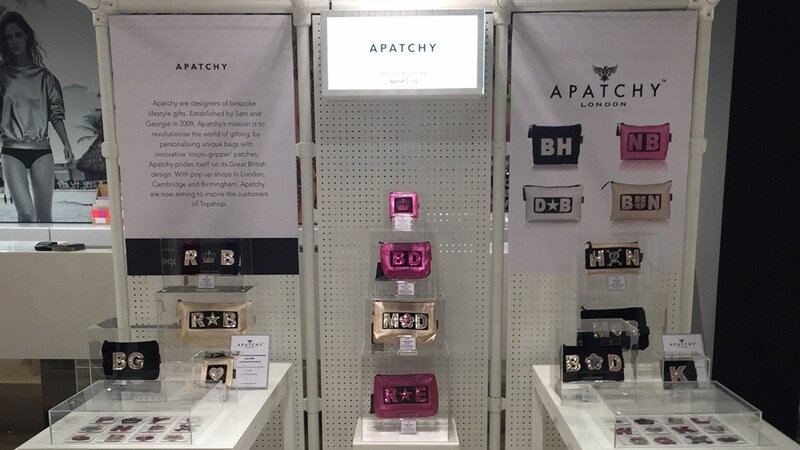 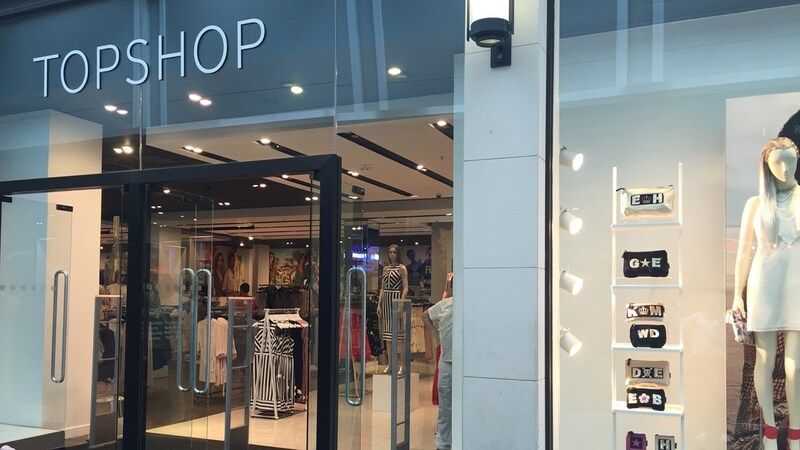 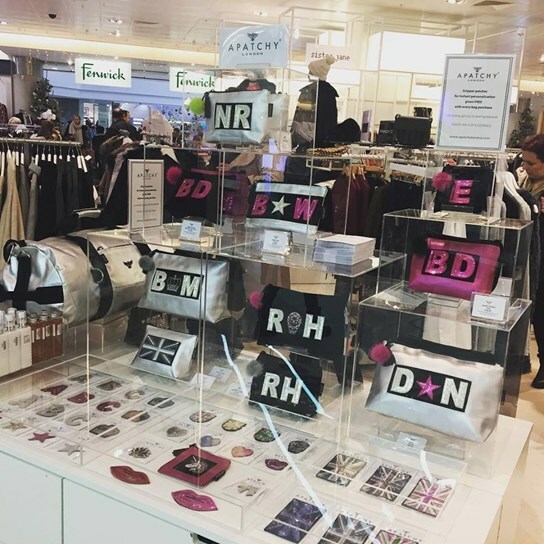 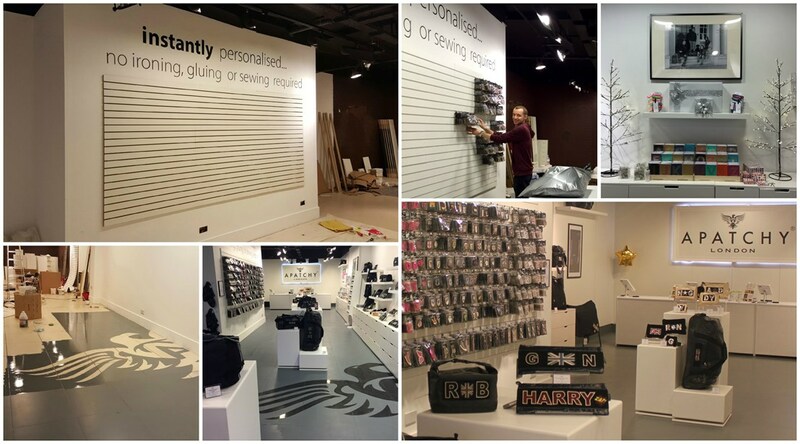 After Birmingham, Apatchy was invited into the home of Topshop Liverpool, and Fenwick's Brent Cross store. 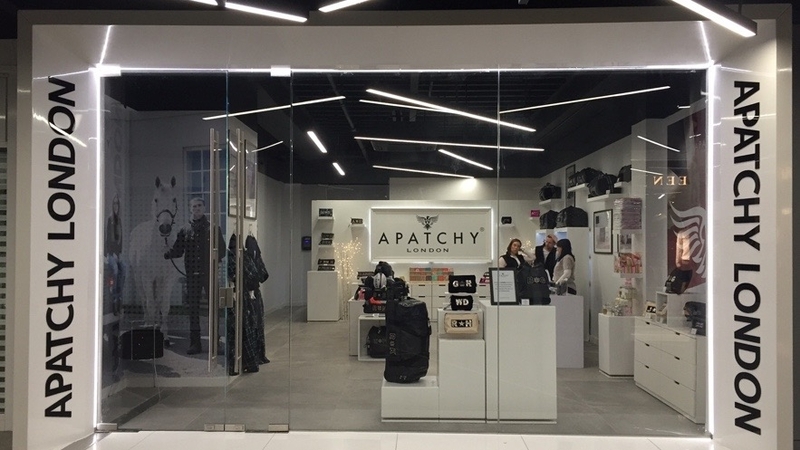 Apatchy looks forward to returning to the luxurious Brent Cross shopping centre to promote Fenwick's back to school campaigns in the February half term.